In South Africa, and indeed the world over, cellular usage has grown exponentially. This is partly due to the increase in popularity of Smartphones, which allow users to access the Internet and social networks – both of which require connectivity to function. As a result of this growth, mobile operators are finding themselves increasingly unable to cope with the demands of volume when it comes to data traffic; a challenge that is not unique to South Africa, but seen around the globe. While South Africa currently has an arguably poor WiFi infrastructure, there is a growing need for mobile operators to offload their mobile data traffic onto WiFi to ensure their capability to support good quality voice calls and other simple services; producing a direct result in the need to address the growing network demands of the country. What do each of these terms mean? 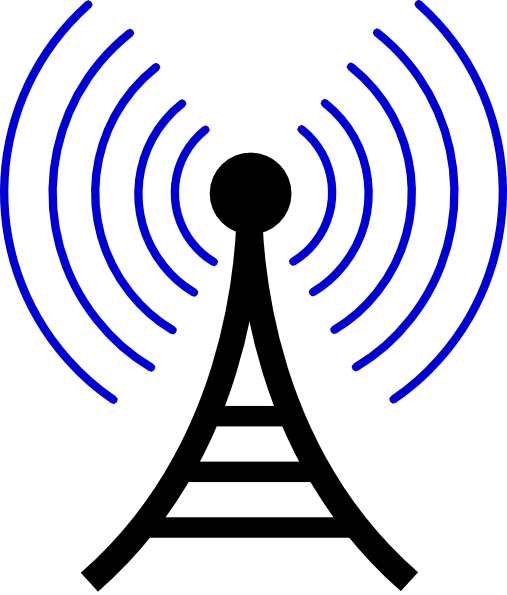 WiFi is a growing popular technology that allows an electronic device, such as a Smartphone or iPad, to connect to the Internet using radio waves. By its very nature, the connection occurs wirelessly and many devices can use WiFi from a single access point. WiFi “hot spots” make connecting to the Internet a capability in large areas, even allowing for connectivity outdoors. 3G/4G are two terms that are frequently thrown about in the realm of mobile technology. The “G” stands for “Generation”, and relates to the generation of mobile technology installed in phones and on cellular networks. While it can be viewed that the higher the number of Gs, the greater the speed, things are rarely so simply when it comes to these network upgrades. 3G mobile networks have been around for a while now, having first launched in the US in 2003 and a 3G connection originally meant that users could connect to the Internet with speeds of anywhere from 400Kbps to more than ten times that. Then 4G came along. While 4G was meant to be faster, although this has not always proven itself to be the case. There are many technologies called 4G, and so many ways to implement them, that the term has become somewhat useless. The move to any form of 4G technology in South Africa has been slow, due to the fact that there is no standard definition among mobile operators as to what constitutes a 4G network. 4G network coverage can also be limited (especially in South Africa), meaning 4G mobile devices require the capability to fall back onto the 3G network, which is already heavily loaded with users. If we were to consider 3G and 4G as buses for a minute, the short-comings of the data networks become clear, albeit in a simple sense that serves our explanation purposes. The more users who board the bus, the heavier it gets. This increase in weight can result in the bus moving slower, among other side effects that worsen with time. And with current 3G conditions already creating a compromised result when it comes to voice calls and customer satisfaction, there is a growingly desperate need to find a solution. While 4G is intended as a solution in some ways, the universal truth when it came to 3G is set to repeat itself: where mobile operators build capacity (as they did with 3G), the users will come. And both mobile operators and users could find themselves once more on the hunt for a viable alternative to offload users onto a more reliable option. So what’s the deal in South Africa? Offloading mobile data traffic onto WiFi is not only a growing trend but a necessity due to growing demand. Coupled with uncertainty about 4G capabilities, a need has been created for WiFi networks to carry the load. LTE (a robust 4G technology) has been toted as a potential solution to the 3G overload, but one that’s fraught with hurdles and rendered as of yet an untapped medium in our country. LTE will not be able to be fully utilised until the regulatory debate in which its caught has been resolved; an eventuality which cannot be guaranteed in the short- or medium-term. Mobile operators acknowledge the need to address these issues, but market demand is hampering their progress. The sheer volume of users drives the pricing that mobile operators can put on their data networks down, rendering the revenue stream flat. With the needs placed on these networks set to increase further, the mobile operators are faced with keeping up with a demand that is not profitable. WiFi points are currently the most viable solution to the current state of affairs in South Africa. The cost of deployment for WiFi “hot spots” is far lower than the cost that comes with creating additional 3G support, and the current standard offers relatively high speeds, extended range and reliable coverage. Advancements have also seen to it that WiFi can offer an improved standard of networking capabilities and network protection. Cloud technology offers WiFi additional credence in a commercial sense, allowing for multiple access points that can be delivered using one centralised controller, once more driving down the cost of deployment. With the growth of data usage set to continue to grow, and lingering uncertainty as to the viability of 3G and 4G data networks, it is becoming clear that no one single medium can handle the volumes of data traffic that will come in the future. And where necessary, an offload onto WiFi can leave more room for profitability and, ultimately, improved customer service. Now isn’t that more than enough motive to make the move towards WiFi, for Internet that’s fast, reliable, always on and super convenient? Visit the Hot Wireless website for more information, or contact us by filling out a form here.